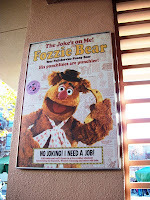 The Muppets are not in show business, they are in the funny business. 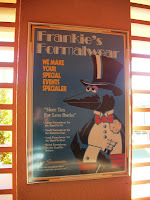 Unfortunately, just like every business, the Muppets have to contend with the rise and fall of consumer confidence. On occasion, they have had to look for other jobs, reinvent themselves, or go into a totally different line of work. 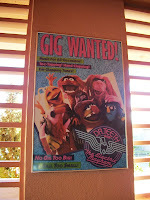 Some of their more popular classifieds can be seen along the exit ramp from the MuppetVision 3-D theater. No Joking! I Need A Job! Call today and we’ll throw in a free rubber chicken! Specializing in Slapstick, Window Cleaning and other odd jobs. Live! On Stage! In Person! 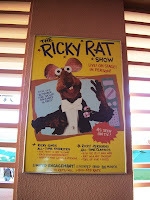 Ricky Sings All-Time Favorites: The Pest is Yet to Come, Rats Entertainment, When A Man Loves A Vermin!